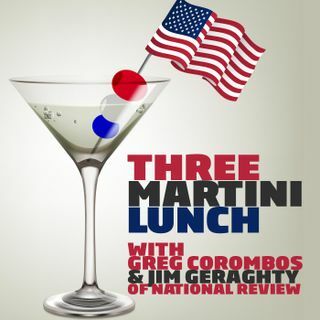 Jim Geraghty of National Review and Greg Corombos of Radio America breathe a sigh of relief after an ISIS-inspired terror plot targeting Maryland’s National Harbor was stopped. They also take a look at the recent polls in Virginia and speculate as to how state Democrats are mired in horrible scandals yet the voters want none of them out of office. And they not exactly surprised to learn that former Senator Majority Leader Harry Reid was caught in multiple falsehoods in claiming a fitness ... See More company's negligence was responsible for his bizarre facial injury four years ago. Reid's case has been thrown out.